How Far is Confident Rigel Plot? Developed over 2,20,000 sq. ft. of prime land is the Confident Rigel as part of the Confident Rigel Enclave which includes the Confident Althena apartment complex as well. Confident Rigel is located on the Main NH 207 road that is rooted through Sarjapur (Location Map). 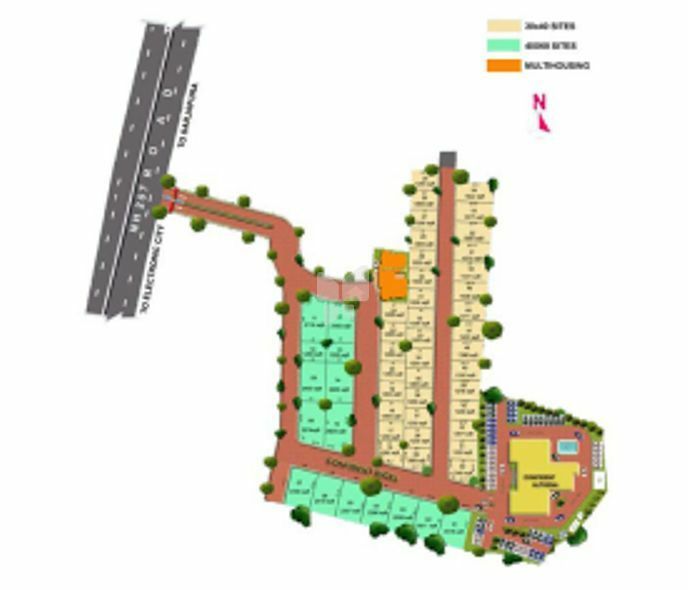 The project is conveniently located between Electronic city and Whitefield. These choice Villas have been designed tastefully by Confident Design Studio, SAA of Singapore and Jurong from Singapore. The unique and well planned township is a picture of serenity and sophisticated comfort. All its wiring utilities, including telephone and electrical cables are concealed underground. The roads within the campus are wide, and completed with reinforced cement and concrete – a first of its kind to be implemented by any Developer! The aesthetically designed park in the vicinity is born from the imagination of a renowned artist from Kerala. This traditionally landscaped park adds to its natural appeal, and will be a much sought after amenity of the project.